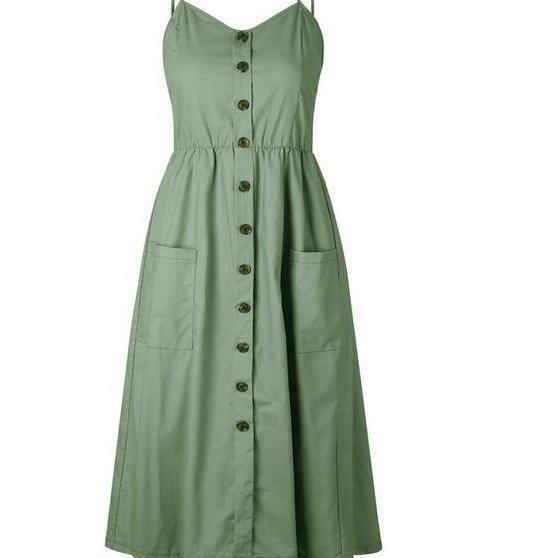 A solid green dress is overlaid with oversized wooden buttons to create a look that embodies the words "beauty" and "minimalism." 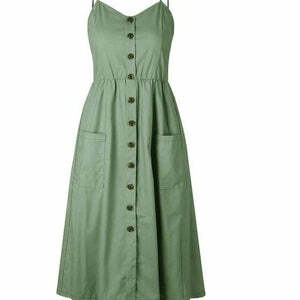 Fashion is all about expression, and this dress manages to say so much with so little. It'll definitely be your new go-to for days when you want that effortless expectation of pretty.